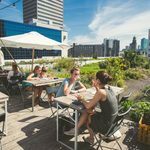 Rotterdam is one of those cities which quietly innovates without making a song and dance about it. In January they have their International Film Festival, IFFR, showing cutting-edge movies and July sees North Sea Jazz, a three-day event presenting everything from the traditional to the far out. The World Port Festival gives you a peek behind the scenes of one of the worlds’ biggest harbours, over three days in September. Art Rotterdam Week happens every February and the 19th edition comes bigger and better than ever. The main event, Art Rotterdam takes over the entire ground floor of the iconic 1920’s Van Nelle Factory, and overspills into tents outside. 75 national and international galleries display the work of established and upcoming artists and they’re all for sale, There are also film and video screenings and an area called Intersections where you can see performance and installation art. Another disused factory, the Haka building on the Vierhavensstraat, is the venue for Object Rotterdam. You can see unique furniture, interior design, light objects and architectural installations from more than a hundred national and international, designers. The distressed walls of the former factory form a fitting backdrop to display the edgy interior design and spreads across four floors. In particular, at dusk the huge windows have an eerie blue glow. 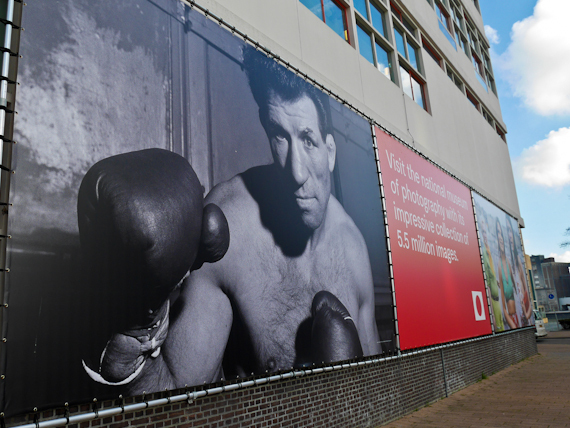 Perhaps photography is your thing in which case the Nederlands Fotomuseum stages Haute Photographie over four days. Over 77 photographers are on show, including established masters of the art and six new Dutch talents, fresh out of art academies. 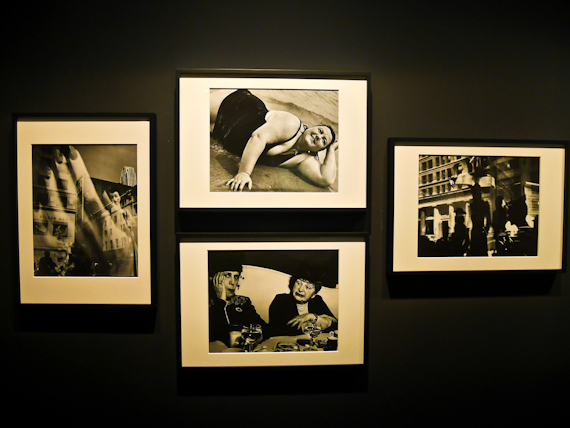 A series of enclosures, with black walls, show vintage photographs from 12 galleries including stunning works by Lisette Model and William Klein. 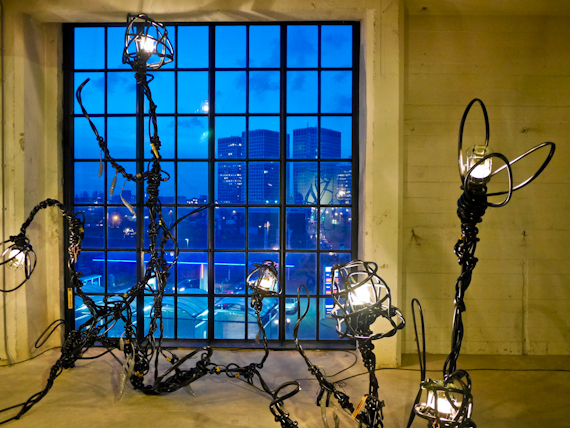 TEC ART transforms the spaces of WORM and V2 into what they call an “interactive antropocene playground”, packed with installations, robotics, artificial intelligence and virtual realities. 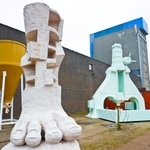 Artists involved include Floris Kaayk, Frederik de Wilde, Maartje Dijkstra, Daniela de Paulis and Saygin Soher. I particularly enjoy the performance by Philip Vermeulen, in the basement, which involves sequentially shooting tennis balls at wooden baffles, computer controlled to create an extraordinary rhythm track. 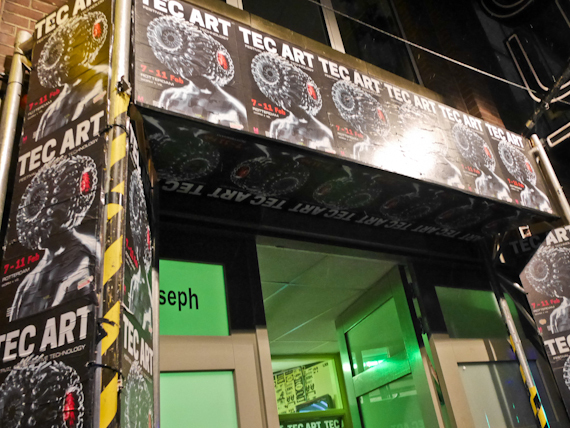 Although Art Rotterdam is now over until next year, there’s still plenty to see in the city. Throughout the year there are always a number of new exhibitions well worth a visit, most grouped closely together in the Museumpark, doing exactly what it says. 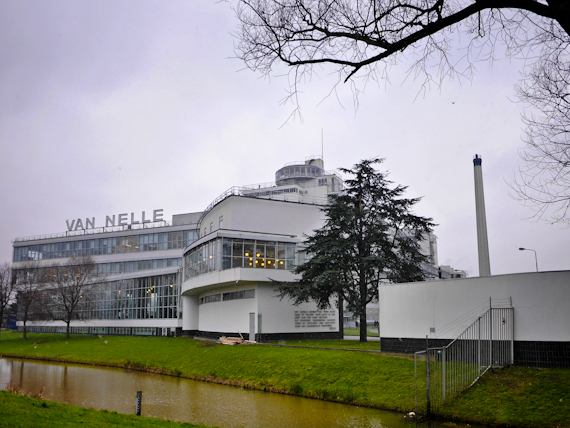 Within its grounds you’ll find the Dutch Architectural Institute, the Museum Boijmans Van Beuningen, the Chabot Museum, the Kunsthal, the Villa Sonneveld and the Natural History Museum. Purchase a combination ticket and visit them all, although you may need more than a day. Unwired; what’s life without digital connections? Jacqueline Hassink roamed the world in search of those rare ‘white spots’ – places where there is no digital connectivity. Her large-format photographs show remote primaeval forests on the Japanese island of Yakushima, the Svalbard Islands in the Arctic Ocean and mountains in Iceland. She contrasts these tranquil landscapes with portraits of people glued to their smart phones on public transport. 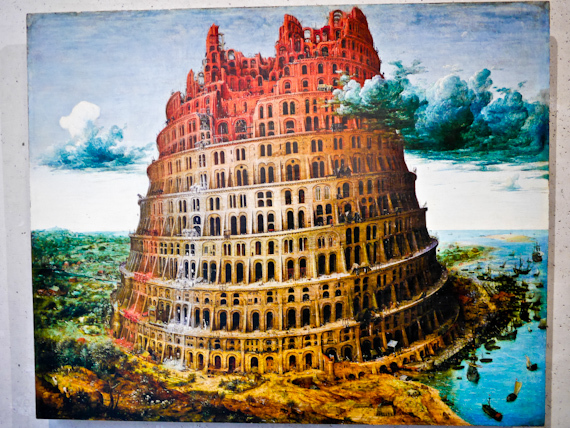 Ninety early Dutch old masters were recently shown in Tokyo and Osaka, including The Tower of Babel, by Pieter Bruegel the Elder, and they’re on show here. The Japanese were fascinated by Bruegel’s painting and thought it was a depiction of a real building, rather than a biblical story. 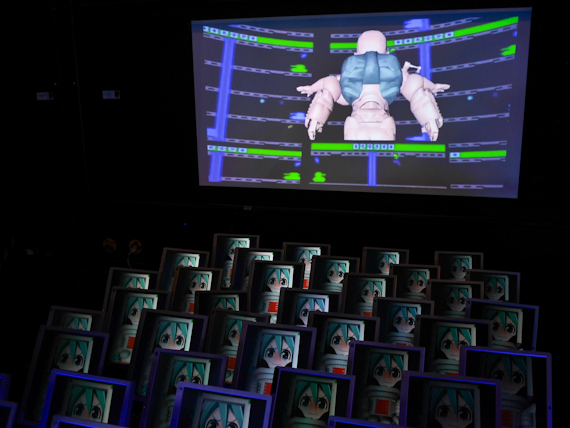 So much so that famous Manga artist Katsuhiro Otomo was created his own version which is now on display. There’s also a rather brilliant 3D short film where they’ve animated the people and animals in the painting and the camera flies into and around the building. Don’t miss the scale model built entirely out of Lego. The Bodon wing of the museum has a huge gallery space and guest conservator Carel Blotkamp has selected fifty of the largest works from the museum’s collection. 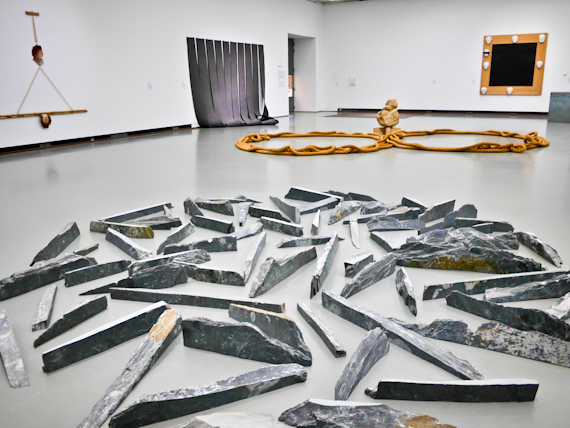 She starts in the 1950’s and includes Driftwood circle by Richard Long, Notung by Anselm Kiefer and D’red Dwarf, B’lack Hole, 2010 by Jim Shaw. Seeing these enormous works, some 5 metres high and 6 metres wide, displayed in the same space is almost overwhelming. Don’t miss Francis Bacon’s Man in Blue I.
British artist Anne Hardy is known for large-scale installations where objects, light, colour and sound all come together. Her latest for Sensory Spaces 13 is inspired by what she calls “spaces in between”, like traffic islands, in London and Rotterdam. 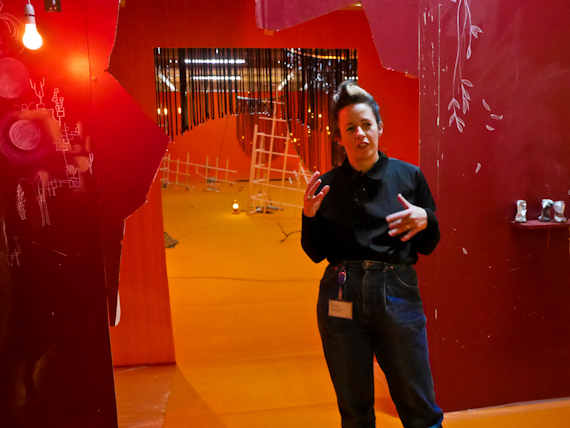 You enter the installation on orange carpet, sprinkled with discarded CO2 soda syphon sparklets and discarded drink cans painted pink to match the walls. There’s a soundscape recorded on location, and she’s designed the space so it slowly changes. It’s a surprisingly comforting experience. The next Art Rotterdam Week takes place in early February 2019. Click here to read about Art Rotterdam Week 2017. Rotterdam Info has information about the city. Holland has information about the country. The nhow Rotterdam makes a comfortable base near the photo museum. 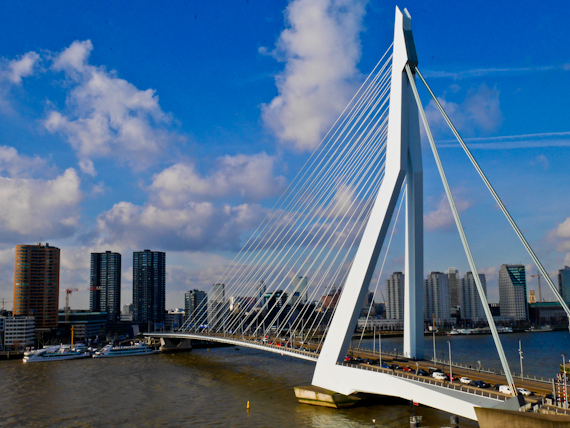 From April, Eurostar will have two direct trains daily to Rotterdam with a journey time of 3 hours. Departures will be at 08.31 and 17.31 and start from £35 one-way on sale from 20 February.